Reposing at her home on Tuesday, August 7 from 1pm until 9pm. Removal on Wednesday morning, August 8 to St Mary's Church, Granard, arriving for Funeral Mass at 12 noon, followed by burial in St. Michael's Cemetery Castletown, Finea. Family time on Wednesday morning please. 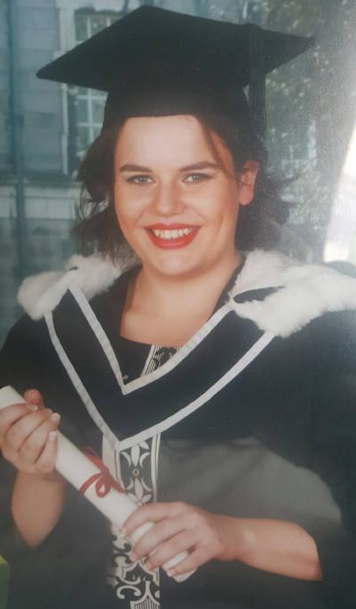 The death occurred, suddenly in the Mater Hospital, Dublin surrounded by her family, on Saturday, August 4 of Gemma McGee, Smear, Aughnacliffe, Longford, aged 24 years. Gemma will be dearly missed by her heartbroken parents John and Rosaleen, her loving brothers John, Niall and Darren, grandmother Mary, uncles, aunts, cousins, neighbours and her many friends. Rest In Peace. Reposing at his brother Michael’s residence in Coolure, Coole, Mullingar on Wednesday, August 8 from 5pm, concluding with night prayers at 8pm. Removal to the Church of the Immaculate Conception, Coole on Thursday, August 9, arriving for 12 noon Funeral Mass. Burial afterwards in Whitehall Cemetery. House private on Thursday morning please.